I love this quote by the late great Zig Ziglar, a well-known motivational speaker and author. I think most of us have the genuine desire to be great at something, but taking those necessary steps to become great is a different story. It takes commitment, time, discipline, and patience to master a new skill or activity. It takes being willing to start with one step, and then proceeding to the next. It takes starting today. Public speaking is consistently listed as one of the top fears people have. And understandably so! It takes a lot of confidence to get up in front of an audience and deliver a message you believe in. “I want to be better, but where do I begin on my path to public speaking greatness?” you might be asking. 1. Start with one area you’d like to improve and give it your full attention. Maybe it’s eye contact, vocal variety, audience interaction, or something else. Focus on that one area over the course of at least three speeches, and have a friend in the audience evaluate how you did each time. Three speeches is a good gauge to see if you’re improving. It’s more overwhelming if you work on multiple areas at once, and you may not easily see progress if you’re moving in many directions simultaneously. 2. For your first presentation – speak on a topic that you naturally feel confident talking about, and won’t require an extensive amount of research for you. What’s a subject you effortlessly and knowledgeably converse about with others in your everyday life? Are you a wine enthusiast? Have a green thumb and can advise on plant care? Preparing the speech won’t feel like a chore, and you’ll have more fun giving it! 3. Commit to speaking at every available opportunity. 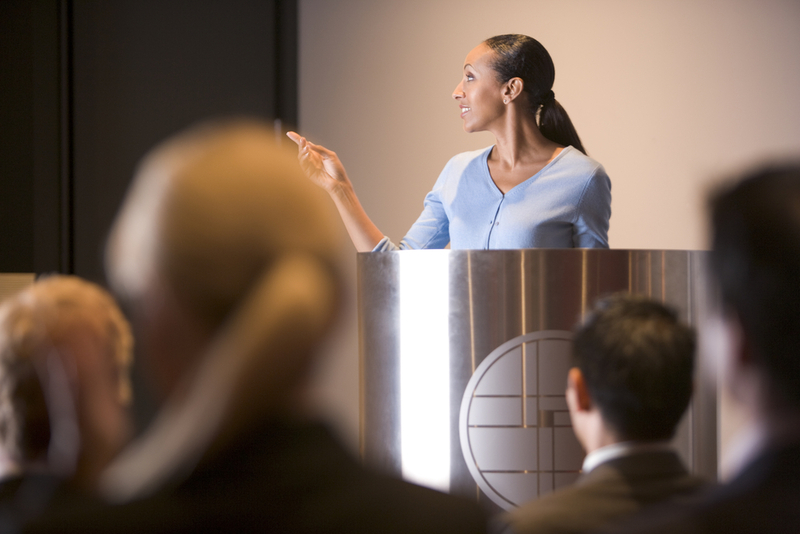 To become a more proficient and confident speaker, you have to speak. No amount of reading about speaking will help you as much as actually doing it regularly. It doesn’t have to be a formal speaking engagement – offer your thoughts and opinions at work meetings, volunteer to emcee your club or organization’s next event, or visit your local Toastmasters club to give a speech. With the latter, at least you’ll have a ready-made audience who is used to hearing speeches. 4. Work with a speech coach. If you want to go far, and go far fast – you might want to consider a speech coach who will work one-on-one with you. They’ll assess the strengths you already have and create a plan to help you achieve your specific goals. Whether you’re a novice speaker, or a seasoned speaker who wants to polish up the skills you’ve developed over the years – a speech coach is a great investment. Public speaking is not a talent you have to be born with; it is definitely a skill that can be learned with dedication and a plan. The recommendations above are a good starting point for becoming more comfortable with taking the stage. All it takes is the courage to start today!